In this text we analyse the traits, from their genesis, that constitute current human beings with the objective of characterising the biological and cultural evolution of humanity within the evolutionary framework of our genus. Paleoanthropologists organise our differential traits within the animal kingdom hierarchically: the ability to manufacture a wide range of tools and control fire, language, funeral rituals, etc. However, whether these increases in complexity occurred only in our species or if it is a process which other species have also undergone, or will undergo, remains to be explored. Keywords: hominisation, humanisation, singularity, tools, language, complexity, species. The uniqueness of Homo sapiens can represent the evolutionary synthesis of our entire genus and, therefore, may be a unique evolutionary expression. We are just another species, yet our development and complexity are evidenced by our social abilities culminating from acquisitions which were initially developed by different preceding or coexisting species. The exponential growth of our species over the past thousand years is the result of these captured acquisitions. Some questions belong to both knowledge and scientific thinking, and some surpass these fields to become the great questions of humanity. Here, we address the topic of who we are from biological, etiological, social, and cultural points of view. Looking at this question from a holistic perspective is fascinating and this approach can provide a complete vision, not only of the hominisation process, but also of the humanisation process. Regarding hominisation-humanisation dialectics, the debate has always concerned the dichotomy between biological and cultural evolution. 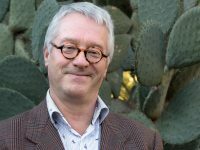 These processes are now analysed in a different way and so were renamed «coevolutionary processes», although we prefer the terms integrated evolution or convergent process. Both forms of evolution follow different integration rhythms: while the first stages of biological and cultural progression were slow, their speed has increased over the last million years to the point where our species is immersed in a process of exponential cultural and technical evolution; this is especially true of the last few decades. That said, in the same time it takes for several biological modifications to occur, many cultural acquisitions will have accumulated. We call «complexity» the set of acquisitions that allow us to specifically differentiate ourselves from other animals. Among the biological aspects of complexity, we refer mainly to the growth of the encephalon, while regarding the cultural and technical ones, which are diverse and in many cases, sequential, we refer to lithic technology, fire, language, burying the dead, and symbolism, among others. Current humans are defined by the fact that they became complex beings. The question is whether complexity is exclusive to our species or if it also emerged and consolidated in other species (Agustí & Carbonell, 2013). Only by answering these questions using analytical data will we be able to answer the question of who we are and whether we are the fruit of acquisitions from other species; similarly, if these traits exist, we can define which of them are specific our species compared to other species from our genus. To answer the question of who Homo sapiens are, we must start looking for our spatial origin and our phylogenetic position. Only then can we refer to acquisitions, that is, discussing where we come from, discovering our roots or, at least, considering hypotheses on this issue. The oldest remains of our species so far were found in Africa, in Kibish, Ethiopia. They are represented by Omo 1 and Omo 2, which date back 195,000 years. When they were discovered in 1967, everyone thought they were more recent, but later datings were surprising: they are 40,000 years older than the Herto remains (Shea et al., 2002), also from Ethiopia and belonging to the subspecies Homo sapiens idaltu (White et al., 2003). Homo sapiens had already spread throughout Africa 100,000 years ago. The most representative site in South Africa is the Klasies River site, while in the north of the continent, the Jebel Irhoud site (Morocco) has a similar dating. At the end of the Middle Pleistocene, around 120,000 years ago, Homo sapiens left the African continent and spread through Asia, reaching Australasia around 60,000 years ago (Gillespie, 2002). Finally, they arrived in Europe around 45,000 years ago, before reaching the last frontier: the American continent. The process of settlement of the planet has continued until today; our species has wandered all over the Earth’s surface and has continuously settled it, except for small discontinuities. What are our biological origins? This interesting question still does not have an answer, but it has led to some fascinating hypotheses nonetheless. 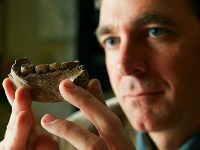 The list of hominids that preceded Homo sapiens in Africa includes Homo rodhesiensis, whose most characteristic fossils are, among others, the ones from the Broken Hill (Zambia) and Bodo (Ethiopia) sites. After finding Homo antecessor, in 1997 the team at the Spanish Atapuerca site (Burgos) published a text stating that the cranial characteristics of this hominin made it a candidate for the common origin of Neanderthals in Europe and Homo sapiens in Africa (Bermúdez de Castro et al., 1997). This daring hypothesis is based on the modern features of the jaw, with marked sub-orbital depressions and a lack of prognathism, which give it a morphology like that of our species. In addition, H. antecessor has primitive characters of the Homo clade, shared with other Middle Pleistocene hominins, as well as a set of traits shared with Neanderthals (Bermúdez de Castro et al., 2017); these traits tell us apart from other palaeontological species and emerged about a million years ago. Our aim, however, is to define the characteristics of Homo sapiens compared to contemporary species that became extinct around 30,000 years ago. The period when the largest number of species in our genus coexisted was between 70,000 and 30,000 years ago: the last Homo erectus, Denisovans, Homo neanderthalensis, and Homo floresiensis. Homo sapiens is anatomically characterised by the following traits: a round skull and a high forehead, implying a large encephalic volume, at an average of 1,350 cm3; a small flat face with coronal-oriented infraorbital plates; the presence of a chin; dentition characterised by its decrease in size with respect to previous species; and, finally, more graceful postcranial bones than other species of its genus. For many years, we thought that the palaeontological species Homo sapiens were also a biological species. However, tests on remains, including those from Lagar Velho (Portugal), alerted us to the existence of hybrid traits in an infant, although this information was not accepted by many paleoanthropologists at the time of its discovery. The evolution of sequencing methods finally provided proof that some Homo neanderthalensis populations crossbred with anatomically modern humans and showed that current Eurasians still have a small percentage of Neanderthal genes. Similarly, current humans in Oceania also retain a small archaic gene contribution, corresponding in their case to Denisovans, an ancient population discovered in a Siberian cave and so far described only through genetic analyses (Krause et al., 2010). Once part of the genome of these species and their genetic history became known, we had to consider the possibility that they represented only palaeontological, rather than biological, species. In the strict sense, this would be biological variability, therefore, anatomically modern humans are not specifically different even in this field. We not only have common ancestors with other species, but we also cross-bred with palaeontological species that coexisted with us during the 200,000 years of our evolutionary history. Currently only Homo sapiens from the Homo genus occupies our planet, but this has only been the case for the last 30,000 years. Even so, as we have stated, our species is probably a phylogenetic synthesis. For us to be able to talk, a series of genetic, anatomical, and neural modifications needed to occur. Regarding anatomical transformations, these include changes such as development of the frontoparietal area and changes in the vocal tract. We now know that this also occurred in different species in our genus, which we have been able to verify in at least some of them. We currently have several pieces of indirect evidence that make us think that language might be a trait of the Homo genus and not limited only to Homo sapiens, as originally postulated by Noam Chomsky (1985). This trait might be innate in the genus Homo and, therefore, not specific to our species, as previously thought. At minimum, we know that the hominins who lived about 500,000 years ago could communicate verbally with phonemes and morphemes, as we do; evidence for this was obtained by analysing fossils from the Sima de los Huesos site in Atapuerca (Martínez et al., 2004). Middle ear bones can be used to ascertain if sound reception like ours is ancient or recent; the study of fossils from the Sima de los Huesos site indicates that ancient humans could receive sounds in the intermediate and broad sound ranges, like modern humans. This means that there must have been constructs to capture their language, i.e., a language that could convey their actions not only using body language as apes do, or with interjections or expressions of varying complexity, but one that also uses words. Thus, the structure and morphology of the middle ear of these fossils indicates that the hominids from this site heard in a broad sound range compared to other apes that did not and had no language. Regarding genetics, the presence of the FOXP2 gene (Krause et al., 2007), both in Homo neanderthalensis and in Homo sapiens, indicates that language has been fixed in both species for tens of thousands of years. Experts managed to identify this language-related gene in the Homo neanderthalensis fossils from the El Sidrón cave (Asturias, Spain). Therefore, this characteristic is not specific to Homo sapiens, as previously stated, it is also shared with the rest of the Homo genus (Whitfield, 2008). It is important to distinguish between biology and culture: although no significant skeletal changes have occurred since the emergence of anatomically-modern humans, numerous cultural changes have occurred through cultural evolution since the emergence of our species’ anatomical traits. Some of the activities considered complex from today’s perspective are not specific to our genus, but we assume that our species made them widespread through the history of our evolution; these are detailed below. Homo sapiens is characterised culturally and socially by several factors. 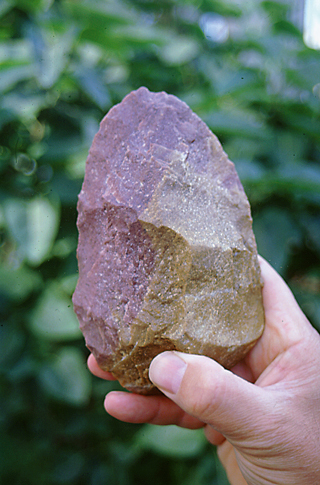 In the technological field, lithic manufacturers profoundly evolved during our species’ adaptation process in Africa and after leaving the continent. While the first technologies appeared in the Middle Stone Age, tools characterised by the transition from Mode 2 to Modes 3 and Mode 41 synthesised, evolved, and diversified the substrate: these include the explosion in Levallois technologies (preparing stone cores before chipping), the systematic use of bone as a raw material, the presence of laminar techniques and, eventually, microlithic reduction. The production of blades is not specific to our species: others, such as Neanderthals, also developed it during their cultural evolution. We could say that, as with other acquisitions, Homo sapiens ended up generalising their production to all its populations around the planet, but also shared this knowledge with other species. Wooden tools also developed in ancient times, as evidenced by spears and other wooden elements found at Schöningen (Germany) and dating back over 300,000 years (Thieme, 1997). Regarding bone tools, although Neanderthals also produced them, Higher Pleistocene harpoon sequences from Zambia (60,000 years old) show how highly complex these hominins already were and how these technologies strongly differed from those of other species in this chronology. Building techniques using perishable materials are very old and Homo sapiens is not unique in its use of this aspect either. From the potential old huts at Olduvai (Tanzania), dating back 1.9 million years, to the huts at Terra Amata (France), or the ones built by Neanderthals, every species has built places of refuge. Therefore, architecture has a long genus history, rather than one restricted only to our species. While it is true that Gravettian huts built with mammoth bones in Eastern Europe were extremely complex, more so than any previous huts, they also point to a long-standing human building tradition. 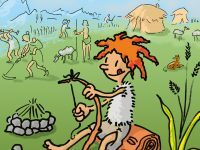 The discovery of fire and its social use is very old. We have empirical evidence from the Wonderwerk cave in South Africa that Homo erectus populations used fire for light, heat, or cooking around a million years ago. It took over 600,000 years to socialise fire (James et al., 1989). Neanderthals used fire systematically, as did Homo sapiens. We could say that finding differences between what the former or the latter did might be difficult, because of the variety of shapes and sizes of places fire was used: flat hearths, cave hearths, and lantern ovens, or those built with stone, inside gours (“pits”), or in natural coves, etc. This also proves that complexity does not emerge only in our species, and that the spread of fire technology is nonspecific; it represents a long adaptive tradition in our genus which ended up becoming a trait essential to the species that introduced it as a socialisation mechanism. Fire and its structure, the hearth, are very important in developing language and, especially, articulated language. In addition to its many primitive functions such as lighting, active-time extension, scaring animals away, perfecting tools, and cooking food, its radialisation allowed for the development of intergenerational relationships and the transmission of information. 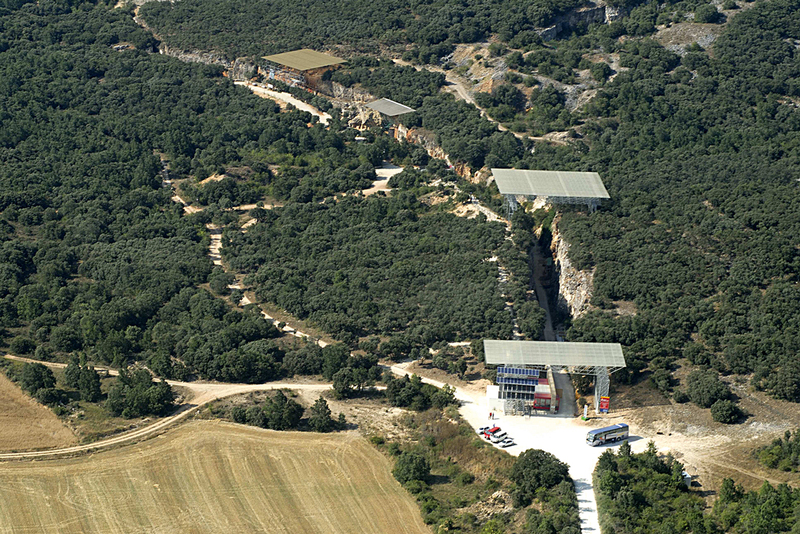 Sima de los Huesos is probably the first location where the deliberate accumulation of corpses was registered in the evolutionary history of our genus: 28 Homo heildebergensis individuals were thrown into a 12-metre-deep chasm about 400,000 years ago (Arsuaga, Martínez, Gracia, Carretero, & Carbonell, 1993; Carbonell et al., 2003); later, Homo neanderthalensis also started burying their dead. We have evidence of this Neanderthal behaviour from sites ranging from Europe to the Middle East, although some colleagues do not agree with this idea (Pettitt, 2002). Examples include sites like Shanidar 4 in Iraq, La Ferrassie in France, or Kebara in Israel. Therefore, funerary rituals are not an exclusive acquisition of modern humans: other species shared these habits. Art is a basic symbolic expression of our species. At least, that was what we thought until recently: we now have evidence of artistic activity in the Middle Pleistocene, in two Acheulian sites. The Tan Tan Venus, found in Morocco, which dates back 400,000 years, and the Berekhat Ram Venus, from the Golan Heights, are three-dimensional artistic sculpture creations that are at least 200,000 years old (D’Errico & Nowell, 2000). There are also a series of deliberate engravings at the Middle Pleistocene Bilzingsleben site in Germany. Therefore, we can say that art is, with a high probability, not a specific invention of Homo sapiens, but one that is also of other species, some of them contemporary and others prior to us. What we can state is that art spread with our species, starting 45,000 years ago, but not before. Although there is earlier proof, this spread did not become massive or worldwide until this point. For instance, wind instruments such as flutes have been found that fit this chronology, and from this time in history, the presence of symbolic activity became universal and appeared on every continent. Here we reiterate our previous commentary that anatomically modern humans represent an evolutionary, biological, and cultural synthesis of our genus. Genetics has helped us to discover and compare a multitude of hybridisations among the populations that lived and coexisted with Homo sapiens out of Africa. While technical and cultural analogies had already been observed in the lithic production of different species, we can now conclude that this fact converges with genetic tests carried out on fossil records. These different populations were not only in cultural contact, they merged on several occasions and established biological and cultural mechanisms to convey information. Thus, we must continue to consider our evolution as being integrated and shared with other species. Contrary to the opinions of some, Homo sapiens is not the chosen species, nor is it the culmination of anything, but rather, we are the result of a regular (yet unique) process of natural selection. The fact is that our species’ exponential increase in complexity, especially regarding cultural and technical behaviour (tools, language, fire, art, burial of the dead, etc.) allowed us to immeasurably increase sociability, in a way never before seen in any other species population on the planet. Thus, our ability to socialise as the result of our species’ acquisitions is responsible for the emergence of a complex consciousness and is at the root of who we are. Agustí, J., & Carbonell, E. (2013). 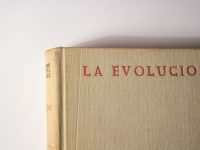 L’evolució sense sentit. Barcelona: Empúries. Chomsky, N. (1985). El conocimiento del lenguaje. Madrid: Alianza Editorial. James, S., Dennell, R., Gilbert, A., Lewis, H., Gowlett, J., Lynch, T., ... James, S. (1989). Hominid use of fire in the Lower and Middle Pleistocene: A review of the evidence [and comments and replies]. Current Anthropology, 30(1), 1–26. Shea, J. J., Fleagle, J. G., Brown, F. W., Assefa, Z., Feibel, C. & McDou­gall, I. (2002). Archaeological reconnaissance of the Omo Kibish Formation, Ethiopia. Journal of Human Evolution, 42, A33–A34. Whitfield, J. (2008). Evolución. El gen del “lenguaje”, FOXP2, parece esencial para la vocalización animal. 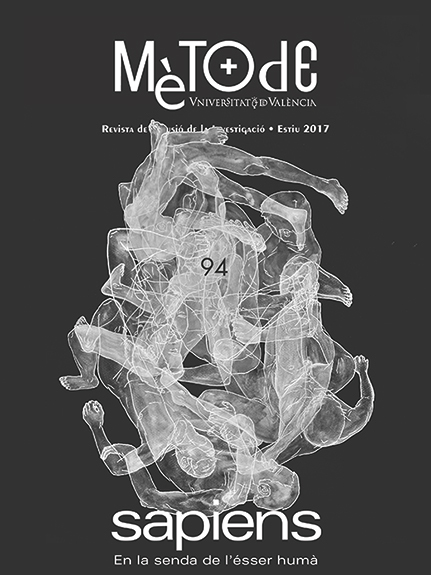 Investigación y Ciencia, 379, 10–11. 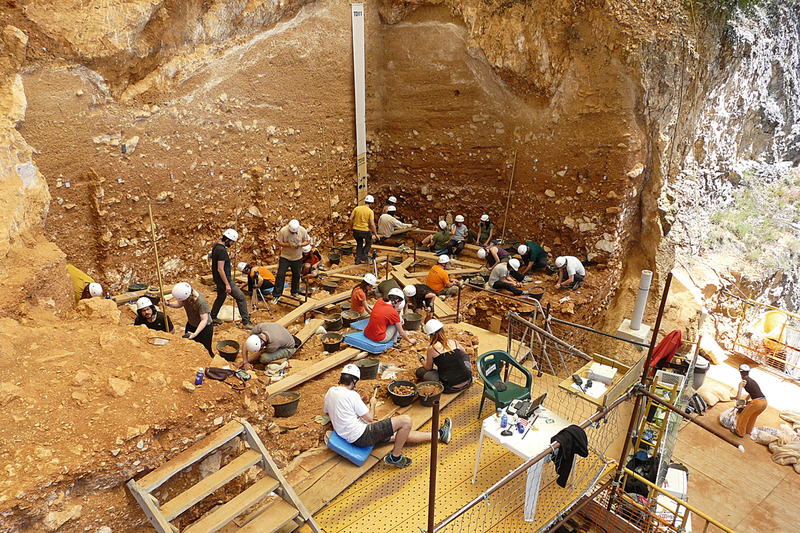 Institute of Human Paleoecology and Social Evolution (IPHES), Rovira i Virgili University (URV) in Tarragona (Spain). He is a prehistorian specialised in lithic technology, especially in tracing the use of Palaeolithic tools. 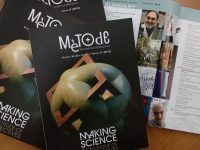 Mètode 94. Online only. Summer 2017.